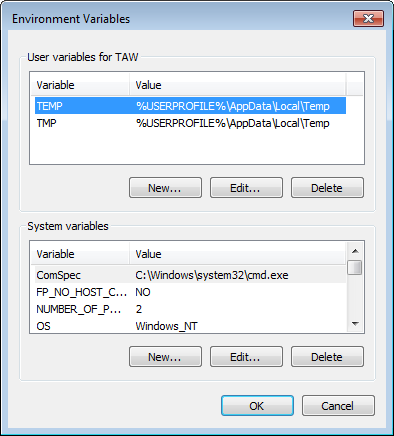 Environment Variables that apply to the RAM Disk TMP, TEMP there. TMP, TEMP and is usually stored in a temporary folder path in the same set. Systems and applications are stored in a temporary file. 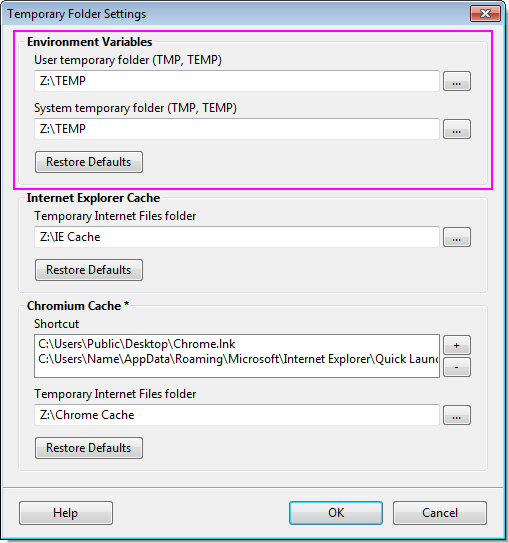 Used by the user and the system can be set for each temporary folder. Ultra RAMDisk settings, you can easily set a temporary folder. Temporary folder on the RAM Disk is set to a faster system performance.